To develop and validate a simple screening tool for identifying developmental delay among children of 0–6 y of age in the community. 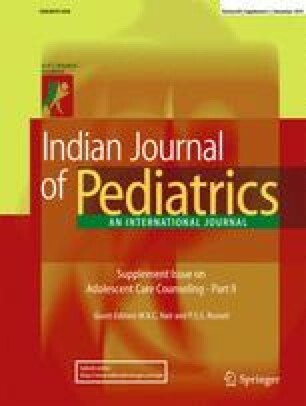 The 51-items of Trivandrum Development Screening Chart for children of 0–6 y [TDSC (0–6 y)], were carefully prepared from the norms in various existing developmental charts/scales, by experts keeping in mind the face validity and content validity. The criterion validity was assessed in a community sample of 1,183 children of 0–6 y with a mean age of 35.38 mo (SD of 19.25) including 597 (50.46 %) boys and 586 (49.54 %) girls. TDSC (0–6 y) was validated against Denver Developmental Screening Test (DDST) as the ‘Reference Standard’. When one item delay in TDSC (0–6 y) was considered as ‘TDSC delay’ (test positive), the sensitivity and specificity of TDSC (0–6 y) was found to be 84.62 % (95 % CI: 71.92–93.12) and 90.8 % (95 % CI: 88.97–92.43) respectively with a Negative Predictive Value of 99.23 % (95 % CI: 98.48–99.67) and LR (negative) of 0.17(95 % CI: 0.09–0.32). The test-retest and inter-rater reliability [an interclass correlation (ICC) of 0.77 for test-retest and ICC of 0.97 for inter-rater] were good and acceptable. TDSC (0–6 y) is a simple, reliable and valid screening tool for use in the community to identify children between 0 and 6 y with developmental delay, enabling early intervention practices. The authors gratefully acknowledge parents of children who participated in the study, Supervisors and Anganwadi workers concerned. They are also grateful to Dr. G. Suresh Kumar, Registrar and Ms. Deepa N.R, PS to Director, CDC, Thiruvananthapuram for their support during the study period. They thank, Mr. Asokan. N, PA to Director and Ms. Suja S, Junior Programmer, CDC for their support. They also thank Dr. Abhiram Chandran, Dr. Princly Pappachan, Mr. Vinod. S.S, Ms. Bincymol. K, Ms. Vineethakumari. S for their help as team members of the study project. They are also thankful the Mission Director NRHM, Kerala. National Rural Health Mission (NRHM), Kerala and Child Development Centre, Medical College Campus, Thiruvananthapuram.